We know you'll love this	20cm mousseline pan	as much as we do. Beatiful artisan work First the con: Not possible to dishwash but apart from that thera are no other cons. On the pro side there is a noble and genuine feeling when cooking. A heavy and througout artisan feeling in the making of both the product and the food prepared in it. It ages with a beatiful patina. I cooks well and is easy to clean. 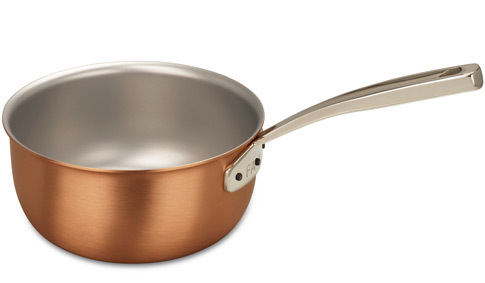 I love all man copperware from Falk.